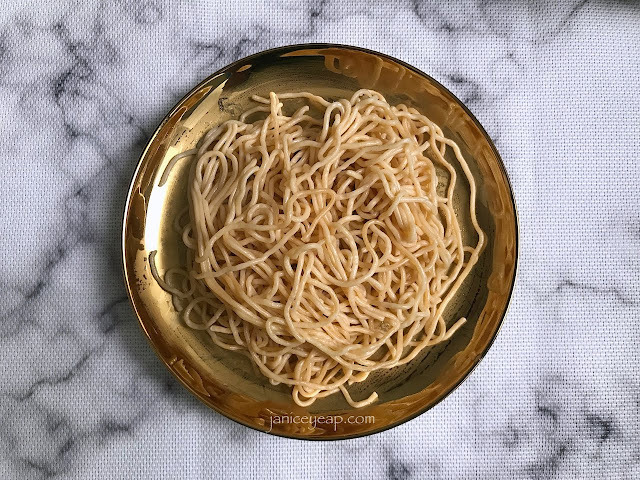 I enjoyed eating pasta a lot and I hate the fact that it takes up so much of my time when it comes to cooking pasta. 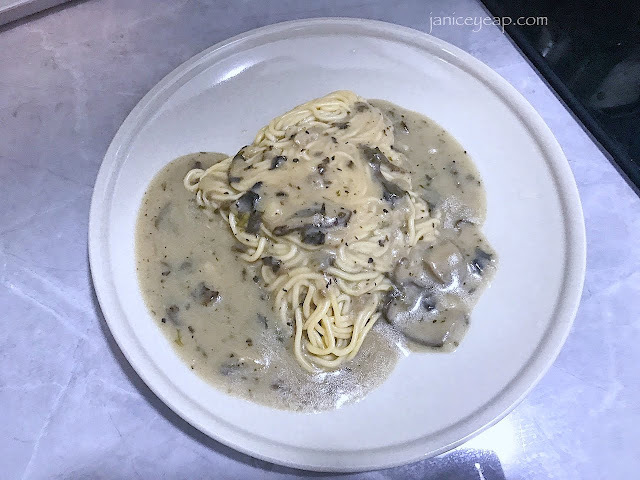 Recently I came across a product which saves up my time by just reheating the pasta and have your meals ready in just 3 MINUTES! Can you believe that? 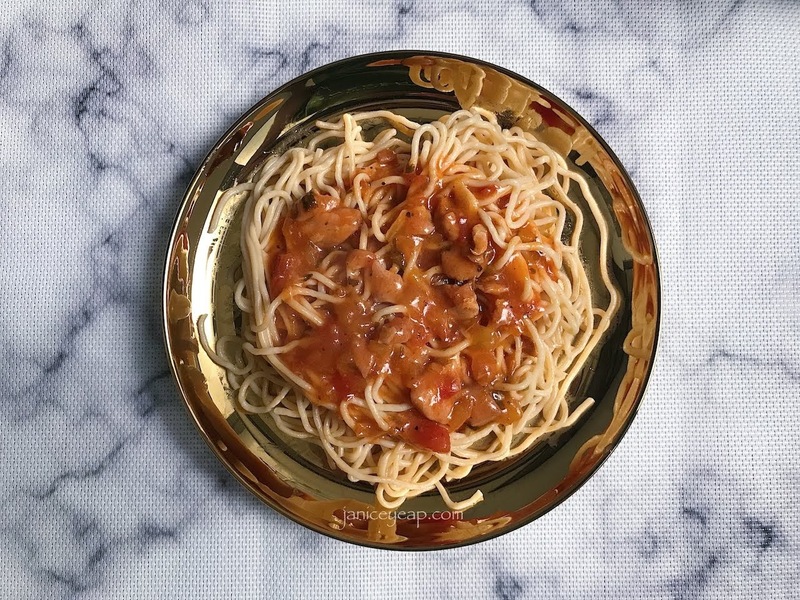 Do you know that I only take 3 minutes to prepare this Spaghetti Bolognese with Chicken? 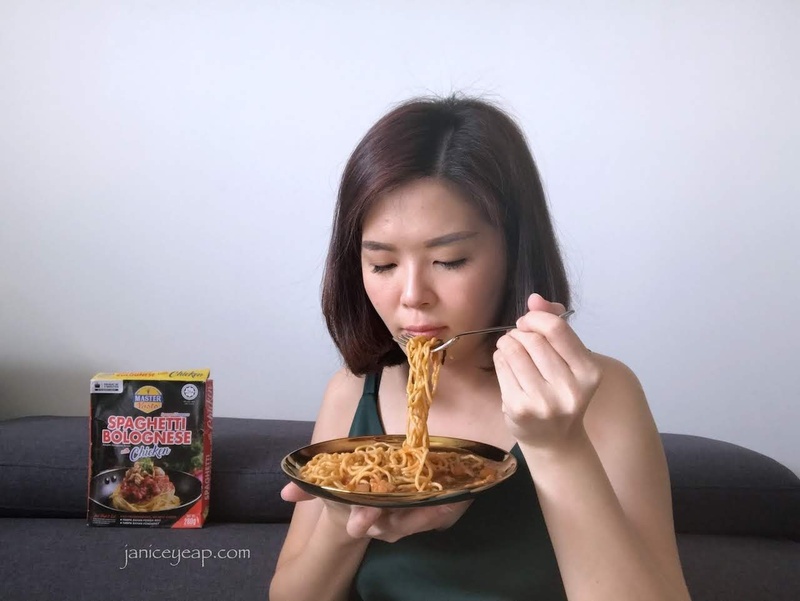 Master Pasto Instant Spaghetti made by Lioco Food Industries Sdn Bhd, is a ready-to-eat and safe product that showcases the all natural ingredients used in delicious pasta dishes which contains no MSG and no preservatives. Besides that, no refrigeration is required and only takes less than 3 minutes to reheat. Simple as that! Did I mention that it is a HALAL product too? 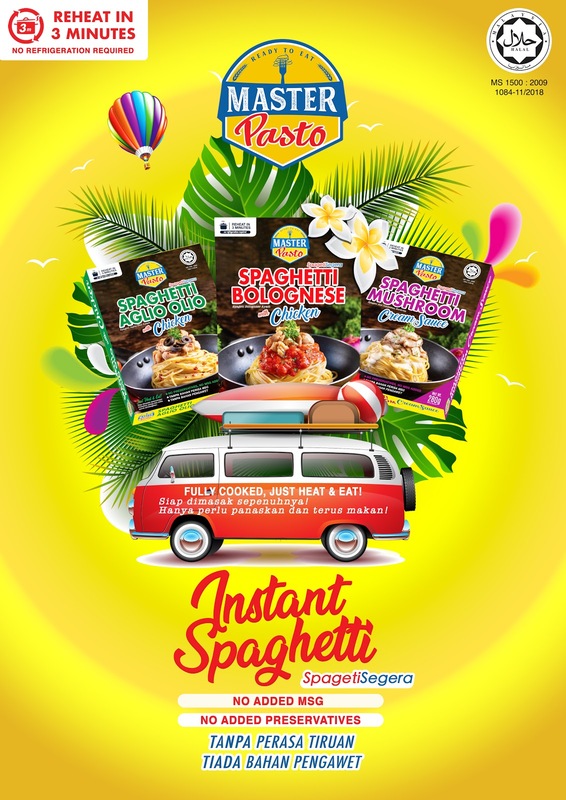 Master Pasto Instant Spaghetti comes in 3 flavours - Spaghetti Bolognese with Chicken, Spaghetti Mushroom Cream Sauce and Spaghetti Aglio Olio with Chicken. 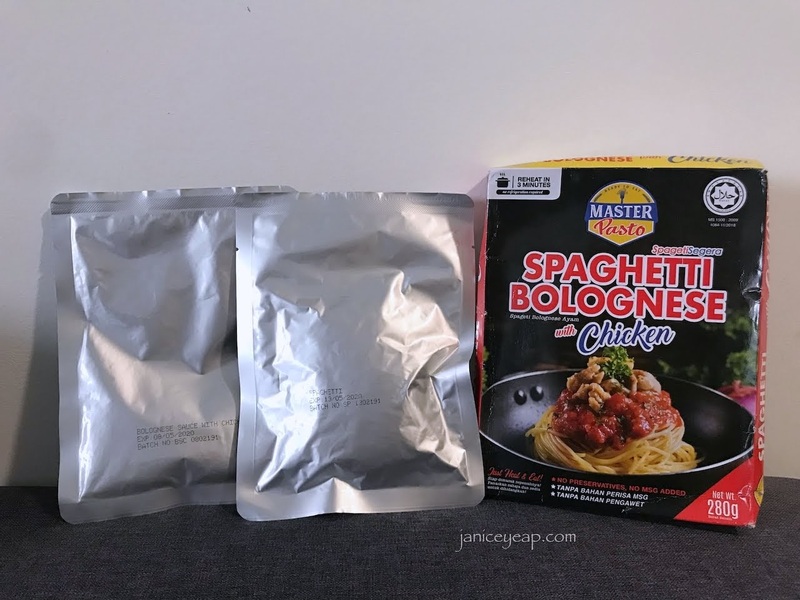 Each pack comes in two Flexy Packy packaging - one for pasta and the other is for sauce. Any idea what is Flexy Packy? Flexy Packy is a safe and reliable pouch that undergoes high temperature for sterilisation, specially made for Lioco's products to be stored in. 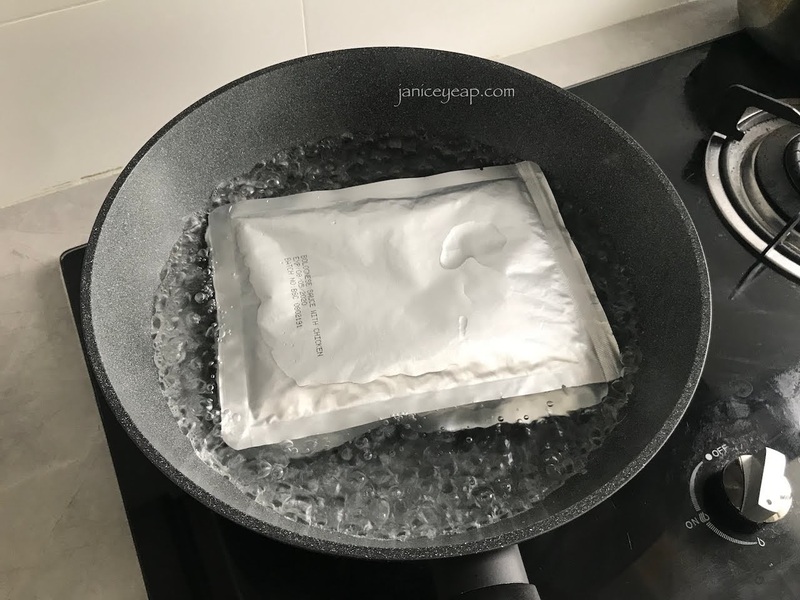 This means that you do not need to remove the packaging when you boil them in the boiling water. There are two methods to cook this Master Pasta Instant Spaghetti which are Boiling Water and Microwave. 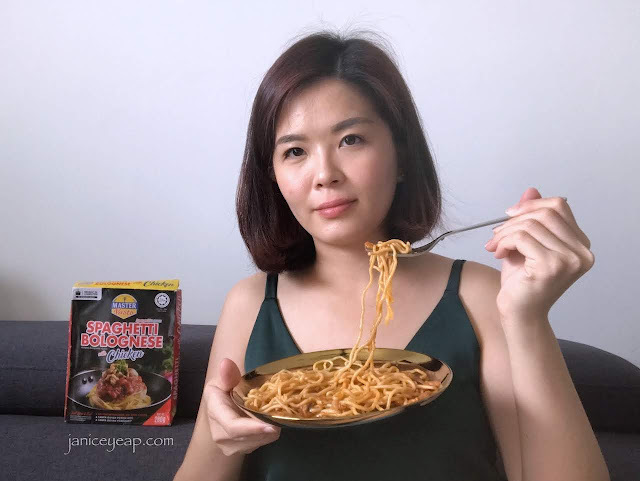 I am going to show you how to cook this Master Pasta Instant Spaghetti using boiling water method since I do not have a microwave at home. It's pretty simple! 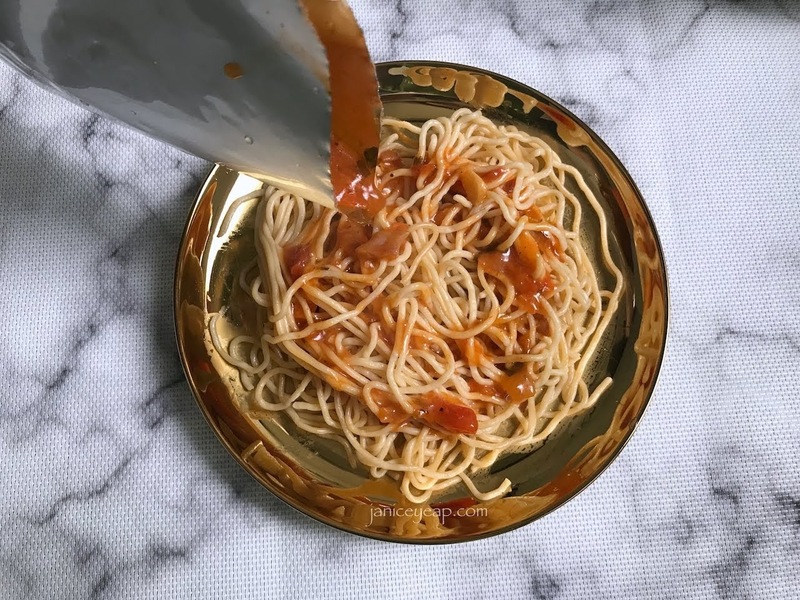 All you have to do to have place both "Flexy Packy" Pasta and Sauce into the boiling water for 3 minutes. You can remove them from the water after 3 minutes. Remember to cut the packaging open and pour them on a serving plate! It's so simple and easy right? 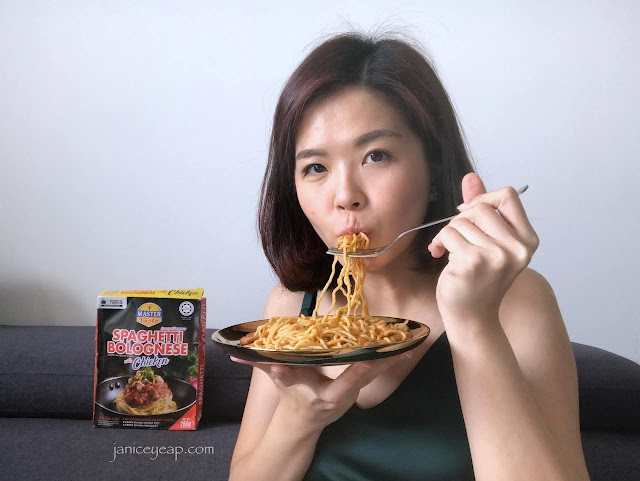 You can now enjoy your meal in just 3 minutes! It's easy right? I have tried and tasted all the 3 flavours and Spaghetti Bolognese with Chicken is by far my favourite. The sauce was just right and it's not sour like some spaghetti I have tried with bolognese sauce. 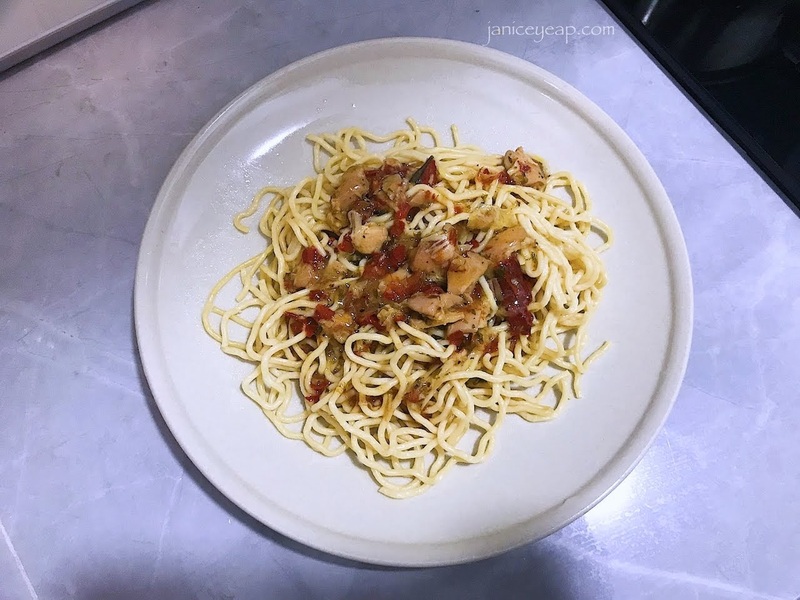 Spaghetti Aglio Olio with Chicken on the other hand is a little too spicy to my liking because I can't really take spicy food. The Spaghetti Mushroom Cream Sauce tasted not bad in my opinion. 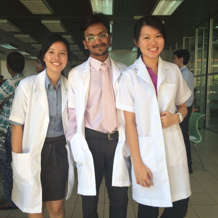 Nowadays I am a little careful with my food intake especially with food that contains MSG. I am glad that this Master Pasto Instant Spaghetti does not contain any MSG and preservatives. Overall I love this innovative idea which brings so much convenience to my daily routine. I like the fact that I can get my pasta ready in 3 minutes by just reheating it. The packaging on the other hand is pretty amazing because the ingredients such as sauce and pasta are already included inside. It's definitely easy to have them as quick lunch when you are running late for meetings in between. 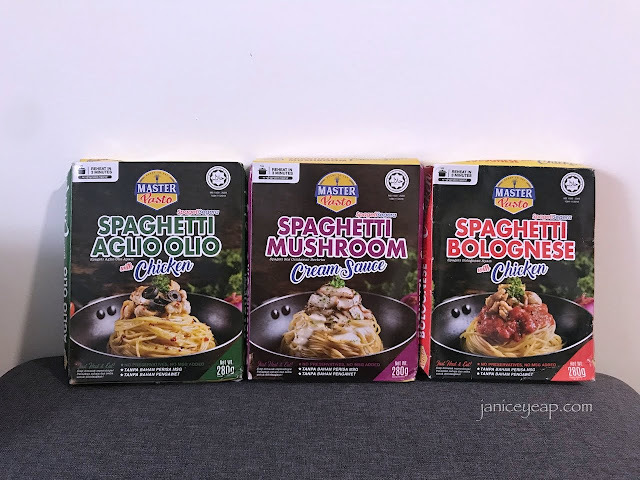 On the hand, I wish they can have more flavours adding to their current range - Spaghetti Bolognese with Chicken, Spaghetti Mushroom Cream Sauce and Spaghetti Aglio Olio with Chicken. 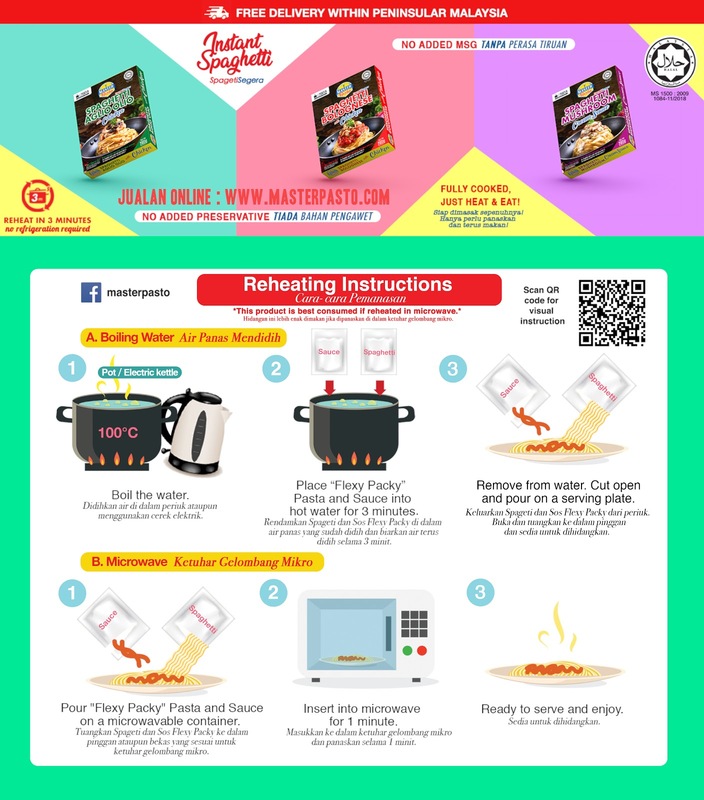 This is definitely worth trying for those busy working adults as it saves up your time when it comes to cooking a meal.